1st Machine Tool Accessories are a workholding and machining accessory supplier. They import a wide range of high-quality products including Collets, Chuck Jaws, Kitagawa Chucks, Iemca Barfeeders, Rotary Tables, Chick Vices, Darex Drill Sharpeners, Tecnomagnete Magnetic Workholding, Jigs and Fixtures, Coolant Savers, and Filtration Systems. 2D CNC Machinery is a specialist flexible manufacturing systems, cell and stand-alone machine tool supplier, representing world-leading products from; Mitsui Seiki, OKK, WELE Mechatronic, Reiden Technik, Fermat, 3D Systems. ADS Precision Ltd are METAL CUTTING SPECIALISTS - suppliers of new & used sawing machines, saw blades, spare parts, repairs/breakdowns & subcontract hirework; be sure to find a solution for you! Abrasive Finishing Systems was formed in 2002 to supply premium abrasive products and solutions to the metal finishing industry. As exclusive suppliers of Cibo Abrasives and Garboli Tube Finishing Machines to the UK and Ireland, AFS are perfectly placed to help solve your particular finishing problems. ANCA is a market leader of high quality CNC tool and cutter grinders. ANCA has tool grinders to meet everything from large scale manufacturing to entry level production requirements. ANCA is renowned for the flexibility of its tool design software and machines which enable you to produce a wide variety of complex tools. These include grinding endmills, profile cutters, burrs and punches. ANCA's tool grinders are the perfect choice for the production and resharpening of all your HSS and carbide cutting tools. Since 1865 Asquith Butler has been designing and manufacturing bespoke machine tools to suit our customers' ever increasing requirement for accuracy, quality and reliability in today's demanding manufacturing environment. Working from the company's new purpose-built manufacturing facilities near Halifax, Asquith Butler also provides sales, servicing, spares and refurbishment services for existing machines. Autodesk manufacturing software helps you to machine, print, inspect, and fabricate better quality parts, faster. • Cloud-connected solutions so you can collaborate and manufacture anytime, anywhere. Balluff is one of the leading manufacturers of electronic and electromechanical sensors. Balluff products guarantee successful and reliable operation in all areas of automation, even in the harshest and most demanding machine tool environments including a machine tool RFID Tool Retrofit solution, tailored to requirements providing tool service life optimization, quality assurance and reduction of set up times. We also offer comprehensive expertise in sensor technology for automation with part detection, level, pressure, vision, distance and measurement solutions. Blackfast Chemicals specialize in the supply of chemicals for colouring of metal objects used in a diversity of industries. Room temperature blacking enhances the appearance of any component and the blacked surface absorbs rust prevention oil or sealants, offering excellent corrosion protection. The Bott Group is a world-leading manufacturer and supplier of workshop equipment, in-vehicle equipment and workplace systems. With a corporate philosophy of meticulous attention to detail and first-class customer service, we specialise in workplace storage, van racking, specialist vehicles and fleet conversions. Bowers UK supplies UK industry with an unrivalled choice of high quality precision measuring equipment, bespoke system design and laboratory-based UKAS calibration services. Its pre-eminent position in the metrology market, along with the Group’s continued investment in cutting edge technology, allows Bowers UK to provide its customers with a truly complete metrology service. Dugard are a leading UK supplier of CNC engineering machinery, carrying top international names and providing the widest range in the UK of horizontal and vertical lathes and machining centres including 5-axis and grinding machines. In addition to its own Dugard ranges, Dugard represent Samsung, Edel, You-Ji, TOS Varnsdorf, Matec, MTE and Chevalier. Cambridge Numerical Control was established in 1981. We specialise in distributed DNC, machine tool monitoring, OEE systems and ISO 9001 and FDA compatible NC program revision management systems. All of these are provided by Cimco A/S. We provide custom automation systems for the likes of BAE, Rolls Royce and Jaguar Landrover. We also provide complete training room systems with machine tool simulation for Fanuc, Siemens, Heidenhain and XYZ machines to training colleges and in-house for apprentice training. The world is a rapidly changing place, and the explosion of information and data has changed the way manufacturers work, stay relevant, and ahead of the competition. It's difficult to keep up let alone stand out. Canon’s corporate philosophy of “Kyosei - Living and Working Together for the Common Good” means that we take a collaborative approach to helping you achieve growth, productivity gains and cost savings, guiding you to efficiencies throughout the whole manufacturing process, from concept and design to assembly. CGTech’s VERICUT® software is the standard for CNC simulation, verification, optimisation, analysis, and additive manufacturing. VERICUT protects CNC machine tools against potentially disastrous collisions by providing a virtual machining environment for program simulation and testing of post processed CNC code. VERICUT is used extensively to increase the efficiency of complex 5 axis machining centres and mill/turn machines. Citation plc are the UK’s leading Health & Safety and Employment Law compliance consultancy. The UK distributor for Citizen's Cincom CNC Sliding Head Lathes, Miyano Fixed Head CNC Turning Centres and Ocean Cincom Autoloaded CNC Lathes. Take a look at our highly flexible productivity solutions. Whether bar turning, autoloading or hard turning we can provide you a route to the lowest cost-per-part. Our multiple axis Citizen Cincom sliding head and Miyano fixed head machines span the range from 1mm to 64mm diameter. We can also offer a variety of bespoke autoloaded solutions tailored to your requirements using the latest material and parts-handling technology. CMZ Machinery Group manufacture CNC lathes. From the factories close to Bilbao, machinery for the metalworking industry has been manufactured since 1948. Manufacture of CNC lathes commenced in 1986. In a very short time, CMZ established themselves as the leading Spanish manufacturer. CMZ now export machines all over Europe. In an effort to promote sales and to support the existing customers in the United Kingdom, CMZ UK Ltd was set up as a wholly owned subsidiary of CMZ Machinery Group SA of Spain. Associate Member offering in-depth specialist knowledge & expertise in financing new and used machine tools. With over 45 years of combined experience in this marketplace, we have a proven track record in delivering effective financial solutions to our clients. Whether our clients' requirement is funding for new equipment, assistance with releasing equity in existing assets or safeguarding their business with effective risk management, we are a valuable and reliable business partner, focused on providing imaginative cost effective solutions. CNC Robotics is the UK's leading robotics integration company specialising in advanced robotics systems for machining and are pioneering the use of robotics to improve the productivity of manufacturing across the UK and overseas. CNC Robotics utilises technology to transform outcomes for clients by creating bespoke, automated robotic solutions for a wide range of manufacturing applications. Colchester Machine Tool Solutions is the new home of Colchester and Harrison lathes, Pratt Burnerd Chucking Systems and Clausing precision machine tools. Colchester Machine Tool Solutions is a division of 600 Group Plc. 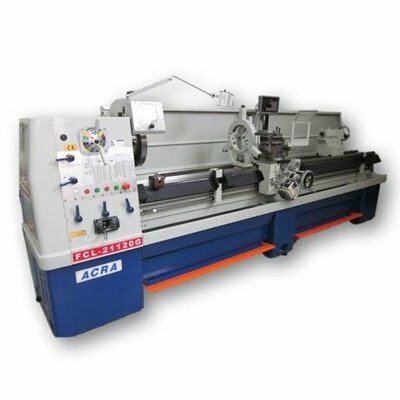 Colchester and Harrison centre lathes are utilised in many job shops worldwide and the Colchester Student, Master and Triumph / Harrison M300, V390 and V550 lathes are instantly recognised household names globally. Colchester-Harrison supplies a wide range of metal cutting lathes including the innovative Alpha X Series Advanced Manual/CNC Lathes, state of the art Tornado Production CNC Lathes and Traditional Centre Lathes (distributed under their traditional Colchester and Harrison branding). Storm VMC\\'s are a new addition to the portfolio and are a new generation of high speed, heavy duty Vertical Machining Centres which have been designed with more standard and optional features than ever before. Tornado T Series versatile CNC Turning Centres. Comau is a multinational company that specialises in industrial automation & robotics. Comau has an international network of 35 operative centres, 15 manufacturing plants and 5 innovation centres worldwide. Comau offers a wide range of automation products, technologies & services; from robots and AGVs to complete automated manufacturing systems. Our products are characterised by high performance in terms of speed, repeatability, accuracy and flexibility and our robot range extends from small payload robots to an impressive 650 kg. Complete CNC Solutions is the UK and Europe's exclusive distributor and supplier of Tekcel CNC Computerised Routers and Digital cutters. Tekcel routers are available in a range of sizes and configurations to suit the needs of and equally wide range of manufacturing industries. Completes CNC Solutions also offers service and technical support products and a range of routers tooling and cutters that will improve the performance of any CNC router. Coventry Engineering is the holding company for the Coventry Toolholder, CTL Centreline and Coventry Engineering Services operations in the UK and USA. The aim of the Company is to bring together a small but tightly knit group of engineering businesses, each complimentary to the other and each having well established reputations for providing high quality, precision tooling solutions and manufacturing services to machine tool builders, users and other manufacturing industries, worldwide. Crawford Swift is a machine tool solutions provider with over 130 years experience in providing engineered solutions to customers' exacting needs for custom made machinery in a wide variety of industries. We provide unrivalled experience in the design and manufacture of new, rebuilt and re-engineered machines. This engineering expertise is further demonstrated with innovative solutions such as the award winning "Friction Stir Welding" machine, putting new technology into production. Standard & Special driven tooling Right angle heads Speed increase units Multi-drill heads Rapid tapping machines. Our business is to provide customers in manufacturing & engineering a ‘onestop’ resolution to their requirement. Whether this is a spare part or minor software change through to a new or refurbished metal feeding line into their press we would always endeavour to provide accurate advice and the changes/machinery required. For 90 years, the Delapena name has been synonymous with precision honing excellence. Design & Technical Services (UK) Limited has been formed by ex members of the Rudolph Carne senior management with a view to continue working in machine tools and associated trades for the long term future. The company has two working directors, Gary Sanderson who is responsible for sales and administration and Andrew Bailey (ex Carne after-sales manager), who is responsible for service. DTS (UK) Ltd is the sole agent in the UK for CorreaAnayak, who are the largest manufacturer of milling machines in Europe and have a major presence in the UK. Mori Seiki UK supply the extensive range of CNC Machines from the Mori Seiki Group. These include Lathes, Vertical and Horizontal Machining Centres, Sliding head lathes, Micro Fine VMC's and Vertical Grinding Centres. Mori Seiki UK is able to supply a machine tool for most metal cutting applications. Highly experienced in supplying a total manufacturing solution, the company's engineering support realise the full disciplines required by the Manufacturing Industry. With a combined history of more than 150 years Dormer Pramet is the result of a merger between rotary tooling manufacturer Dormer Tools and indexable specialist Pramet Tools. The combined product programme now encompasses a comprehensive range of rotary and indexable drilling, milling, threading and turning tools for the general engineering sector. Eclipse Magnetics are manufacture high performance magnetic fluid filtration systems, work-holding and lifting solutions. Their magnetic filtration systems provide cost savings and efficiencies on machine tool applications such as grinding, drilling, honing and lapping processes. They extend fluid life and reduce expenditure on disposable filtration media. They also enable a high precision surface finish. The range of magnetic filters includes manual clean and automated units each proving sub-micron performance. Ecotile Flooring Ltd manufactures, supplies and installs Ecotile industrial interlocking floor tiles. Manufactured in Luton, Bedfordshire, the Ecotile range includes 7mm open joint for factories, warehouses and areas with heavy forklift traffic and 10mm open joint designed for areas with exceptionally heavy traffic such as aircraft. We also offer anti-static, ESD and ergonomic tiles that fit in with the standard range and the new 5mm thick tiles for offices, canteens etc. Design, development and manufacture of laser marking systems for permanent marking and traceability on a broad spectrum of materials and in a diverse range of industries. All Electrox laser marking systems are supplied in modular format with a multiple I/O interface for ready integration into production lines. For stand alone applications, Electrox offers a variety of safety workstations with a choice of workpiece handling to provide a range of turnkey marking solutions. Distribution, service and support are provided worldwide. Ellesco sells and services a unique and comprehensive range of deburring, deslagging, weld preparation, weld dressing, machining and surface finishing machines Flat, shaped or machined parts can be processed, externally and internally, edges radiussed, chamfers produced, welds dressed and complex shapes generated, all with or without changing surface properties or removing surface coatings. Specialist in supplying production solutions for metalforming, welding and assembly applications. Embassy Machinery's activities include providing turnkey projects to the OEMs and tier one manufacturers, also individual pieces of equipment to the wire industry for the manufacture of springs and fasteners. Within the company portfolio of representations Embassy Machinery provide process and service applications including washing and degreasing of components and removal of scrap and swarf from the production area. Environmental Technologies are a truly international company, with many distributors worldwide. We specialise in oil filtration, coolant handling & recycling and high performance / biodegradable lubricants. Established: 1973. Your search for the right machine is top of our priority!!! Always Excellent Quality, Value and Service!! With a wide range of small & large industrial products - Excel Machine Tools strives to provide your requirements with quality machinery & accessories at a competitive price.CNC & Manual Lathes, milling machines, surface grinders, drills, hacksaws, bandsaws, shapers, vices, rotary table, collet chucks, boring and facing heads, guillotines, press brakes, rolling machines, milling machines, VMC and lots more. The sole representative in the UK and Ireland for the sale of CNC and servo drive systems manufactured by FANUC Ltd of Japan to the MTB and OEM market. FANUC FA also offers comprehensive after sales support service with 24-hour parts availability - online - and flexible labour contracts and training courses tailored to meet the needs of manufacturers. FARO develops and markets computer-aided coordinate measurement systems and measurement software worldwide. The portable measurement equipment from FARO permits high-precision 3D measurements and 3D comparisons of parts and complete systems within production and quality assurance processes. Ficep is manufacturer of machine tools for the steel service centers, construction and general fabrication industry. CNC automated Machine tools for structural steel processing and automated fabrication. Sales - software -service - repair - installation. Filtermist International Ltd has almost 50 years’ experience in cleaning the air in industrial workplaces. Formed in Bridgnorth in 1969, Filtermist manufactures and markets its own range of oil mist collection units, as well as being the UK distributor for specialist oil smoke, fume and dust extraction equipment manufactured by Swedish sister company Absolent. Together these products are used in a wide variety of manufacturing and engineering applications by industry leading multi-national companies throughout the world. OTEC GmbH produces a range of finishing machines based upon a patented rotating disc mechanism that delivers a high quality and consistent finish much faster than other automated processes. This automation of the deburring, smoothing and polishing of components has proven very popular across a wide range of specialist industries from manufacturing jewellers to aerospace, medical and electronics. Time and again, OTEC has proven the only processes that can meet demanding criteria over quality, volume, reliability and ease of use. Fisher Smith are master integrators, software engineers and distributors of components for machine vision. We regularly work in conjunction with automation companies, directly with end users and OEM’s. Traditionally involved in production line machine vision applications of presence, pick and place, orientation and measurement we have installations in automotive, aerospace, pharmaceutical,food and drink as well as general engineering. We offer our own RoboVis and GenVis software solutions for robotic machine vision and for bespoke systems. Fives, your provider for standard and customised conveyor solutions. Let us address your conveying needs with our flush to floor, raised and elevated conveyor solutions. Fives is a manufacturer and integrator of many different conveyor solutions. Integration of small part, palletised conveyors as well as complete assembly lines for automotive and non-automotive solutions are part of our core business. Standard conveyor solutions complement our capability for full vehicle and powertrain assembly solutions. Cinetic Landis designs, manufactures and provides full process and service support for a comprehensive range of grinding machines targeted at the global automotive and truck powertrain industries. Special purpose grinding machines are also available to meet unique Customer requirements. For example, crankshaft grinding equipment to accomodate up to 8M long crankshafts. Flow is the world's leading developer and manufacturer of industrial waterjet machines for applications used in automotive, aerospace, job shop, composites, glass and many more. Flow offer industry-leading technology at every price point with our “Mach Series” systems and there are virtually no limits to what our customers can cut. Floyd Automatic Tooling Ltd was formed in November 1990 to serve the requirements of the many users of traditional Swiss type sliding head automatic lathes in the UK. The need to cater for the ever growing number of CNC sliding head machines is being met by increased stocks of the specialised tooling required on these machines. Forest-Line - Long Bed Gantry Milling Machines, Composite Tapelayers and Fibre Placement Machines. Locksley Works Armytage Road Ind. Est. The manufacturer of Chip Conveyors, Filtration Systems and Chip Handling Solutions. A family owned company that has a wealth of experience in working in all industries which machine tools are supplied. We are continually investing in the business, keeping us at the forefront of technology. Fronius U.K. Ltd, a subsidiary of Fronius International GmbH, provides the UK welding market with solutions for MIG/MAG, TIG, electrode, laser, plasma and resistance spot welding and automation. Its new state of the art facility in Milton Keynes extends over 3,500 square metres and houses the Tech Support team, Repair Center, warehouse and a training area, and epitomises the importance of being able to deliver a first-class service to customers. Fronius UK have mnore recently opened a new facility in East Kilbride to support their Northern customers. Gamet Bearings, ISO9001/2000 certified UK manufacturer of super precision tapered roller bearings, ballscrew cartridges and rotating centres for over 50 years. Machine tool applications include: grinding machines, lathes and turning centres, milling and boring machines and many other special purpose applications requiring very precise rotational accuracy. Other industry sectors serviced include: steelworks, printing, coating, textiles, food canning. Full technical support service is available. The company manufactures in the UK: automotive test equipment, both production and audit, for powertrain assemblies specialising in transmissions, axles, transfer case and steering gear; two and three axes CNC lathes of any size and specification. The company also imports: index mill turn centres, vertical (hanging spindle) lathes and CNC multi-spindle machines; Traub mill turn centres and sliding head CNC machines; Hermle 3,4 and 5 axis vertical machining centres. GF Machining Solutions Ltd is the UK's leading systems supplier to the tool, mould-making and precision engineering industries. Its products range from wire erosion, spark erosion and high speed milling to 5-axis machine tools. A comprehensive range of EDM consumables is also available. As the UK base of a globally active group GF Machining Solutions offer total service and support with no compromise. The company GROB-WERKE GmbH & Co. KG was founded in 1926 in Munich, Germany. After producing various types of machine tools, it was in 1950’s that GROB started to produce special machines (i.e transfer lines) for the car industry. Since then, GROB is one of the leading global players in the machine tool industry. Today, the GROB-Group is much more than a manufacturer of machining centers. Our product range is comprised of stand-alone machines, complex flexible systems, assembly and automated equipment and entire system solutions. Haas Automation manufactures a range of versatile CNC vertical and horizontal machining centres, CNC lathes and rotary tables. American-built Haas products are highly productive and affordably priced. Heidenhain (GB) Ltd is responsible for the entire Heidenhain product range, including technical sales and service support. Products include; CNC controls for machining centres and lathes, CNC probes for fast datum setting and tool offset measurement, digital readouts for all forms of manual machine tools, linear and rotary encoders for precise position feedback, length gauges for component inspection and measurement. Manufacturers, sales and service of horizontal machining centres, crankshaft and camshaft production machines, crankshaft turn, turn broaching centres and flexible transfer lines and flexible manufacturing systems. Rebuilds and retooling, full project management of turnkey projects and prototype manufacturing. In-house training of engineers, NC programming and maintenance. Hexagon Metrology is the world's leading Metrology company. Offering a wide range of coordinate measuring systems designed to meet any metrology requirement. Products include high speed DCC scanning machines, shop floor measuring systems, large gantry CMM's and Portable 3D Metrology products. Brand names include Brown & Sharpe, CE Johansson, DEA, Leica Geosystems, Leitz, Romer and Sheffield. Hexagon Metrology has a measuring solution that can work for you. Digital transformation is imperative, but few organizations are equipped to undertake the journey alone. HK Technologies is a leading provider of machine tools and continues to offer the latest technological products and solutions to the manufacturing industry. HK Technologies are located in Rugby in the United Kingdom and they manufacture laser marking machines for home and export markets. In addition they represent some of the world's market leading companies and offer these products to UK manufacturing. PTG Heavy Industries is able to offer a unique one-stop-shop for machine tool solutions. Horn grooving products. True recognition of the complete solution. Sales and service of Hurco vertical machining centres and bed-mills, Autobend CNC retrofit controls for press brakes. UK and Ireland agent for Roders high-speed machining centres. Sales and service of Hurco machining centres and lathes. A professional, contemporary firm that has been active for over 40 years. We export our products to over 20 countries worldwide. It is our mission to be a trustworthy and decisive partner, based on flexibility, service and quality. As leading supplier we deliver high quality metal working machines for both the retailing and construction industry. Hyfore design and manufacture jigs and fixtures for the automotive industry. Every possible part is manufactured in-house which gives better control and makes future maintenance easier. They are part of the Engineering Technology Group. We specialise in local exhaust ventilation (LEV) testing and fan services along with the maintenance and service of your operational equipment. We also offer an extensive spare parts replenishment service, to keep your system up and running. Our LEV system design engineers will also provide a solution to your fume/dust extraction requirements. Their extensive experience in this area enables them to provide the most efficient and effective system to meet your workplace requirements in line with COSHH regulations. C/o CH Hausmann &amp; Co.
IMS Software is a worldwide leader in NC postprocessing solutions. Founded in 1989, IMS specializes in providing advanced postprocessing products, services, and support. Companies large and small -- the world's leading CAD/CAM companies to the smallest machine shops -- continually find new ways to use IMS software to meet and surpass daily requirements. Now in its 32nd year in the UK, Iscar has successfully developed a major presence in the metalworking industry by helping customers to improve their productivity through the application of Iscar's innovative leading edge technologies and unique cutting tools. Jones & Shipman has worldwide recognition, a reputation for excellence and reliability in the supply of high-quality precision CNC cylindrical, profile, surface and creepfeed grinding machines for aerospace, defence, medical, tool room, moulds, F1 motorsport, automotive volume production and engineering applications. Circular Sawing Machinery for Ferrous and Non-Ferrous Materials. Bandsawing, Drilling, Coping, Plate Processing, Punching, Shearing, Shotblasting, Painting, Bending, Straightening and Handling machinery for Steel Mills, Service Centres, Structural Fabrications and General Engineering. KASTO Ltd is the UK's sales and service centre for the leading European manufacturer of top quality Bandsaw and Circular saw machines and Material handling/storage systems for Bar and Sheet metal products. Offices, demonstration facilities and showroom are situated in Southampton, Hampshire. Kawasaki Robotics manufacturers and supplies industrial robots that can be found working efficiently in all industry sectors. From the most delicate laboratory process to handling up to 700 Kg Kawasaki offer a range of proven products that get the job done. With best in class performance throughout the range, meeting customers requirements and exceeding expectations is Kawasaki Robotics(UK) Ltd aim. Kawasaki Robotics(UK) Ltd are a member company of Kawasaki Heavy Industries Group who have been supplying industrial robots since 1969. ATI Stellram has developed a reputation for providing the best cutting tool solutions for difficult to machine materials such as stainless steel, super-alloys, and titanium. The company focuses on these materials while still servicing general tooling needs for less demanding materials. ATI Stellramâ€™s latest product introductions include high velocity cutters for airframe components, patented anti-rotation tooling for heavy feed milling, plunge milling tools and high feed facing cutters. These latest designs are often capable of reducing machining time by as much as 50%. Kerf supply, maintain and service a range of oxy-fuel cutting machines, high definition plasma cutting machines and waterjet equipment for various applications. We offer a full range of support services and stock a broad range of oxy-fuel, plasma and waterjet spare parts and consumables. KYOCERA SGS Precision Tools works with you, the customer, to provide ‘Value at the Spindle’ using our high performance solid carbide cutting tool solutions for any difficult machining challenge. sgs-imageAt KYOCERA SGS we are constantly developing our range of high performance solid carbide cutting tools for the most demanding machining applications. Whether the requirement is the rapid roughing of tough stainless steels or the ultra-fast finishing of an aluminium alloy, KYOCERA SGS has a tool that can drastically reduce production cycle times. Langbow we will supply quality tube machinery at the lowest price in the UK, guaranteed. Support from us includes 5 year warranty, installation, training, application advice, tooling and servicing. Langbow have been supplying tube bending machines, end finishers, tube notchers, tube end formers and saws since 1971 so we know what we're doing. We have exclusively represented Soco in the UK and Ireland since 1999, the last century! Over 450 installations to date (2012) Industry reference list second to none. Lantek is the global leader providing software systems and solutions to companies manufacturing parts with sheet metal, tubes, and structural steel. Supply and service of CNC machine tools. Leader Chuck Systems Ltd manufactures in the UK: power chucks for CNC lathes, collet chucks, self contained pneumatic chucks, stationary and rotating, special chucks, in-line multivices and top operated multichucks for machining centres and ZeroPoint clamping systems. The company also imports: collet chucks, expanding mandrels. power chucks, air chucks, diaphragm chucks, vice systems, hydraulic and pneumatic activating cyclinders, bar pullers, vacuum chucks, EDM stainless steel chucks, instrument and metrology chucks, toolholders and sandle tooling chucks. LMT Tools is the UK subsidiary for Belin, Fette, Kieninger and Onsrud tooling – these companies make up the LMT Tools systems Group. LMT UK is also a distributor of Bilz and Boehlerit products. The LMT Group bundles several, leading technology companies with more than 2,200 employees at 20 locations worldwide. As a company we pride ourselves for having the right solution for our customers requirements- that’s what exactly yours stands for: It is our promise to our customers. Manufacturers of swarf management systems - hinge belt, scraper conveyors, filtration and high pressure coolant systems, 3D automated chip disposal systems, designed and manufactured to suit applications, including coolant tanks, tramp oil removal, and swarf tipping bins. Distributors of LNS bar feeders. We also offer a sub-contract laser cutting service. Manufacturer of solid carbide and high speed steel cutting tools. MTT Ltd is a leading technical support specialist within the machine tool industry. The company was formed in repsonse to the growing need for an independent specialist with the ability to provide a range of support services including capability assessment calibration, consultation and training. MachineWorks Ltd has been providing CNC simulation and verification solutions across the world since 1994. MachineWorks Software has been adopted by manufacturers looking to simulate any type of CNC machining and check for collisions and gouges in the full machining environment with speed, accuracy and stability. MachineWorks Software Development Toolkit is integrated into CAM applications, standalone verification applications and controller-based applications, including Collision Avoidance Systems setting the standard in the industry. Manchester Metrology Ltd is a North West based company with an ISO9001:2008 accreditation. Established in 2008 by Paul Bulman who gained major knowledge of the portable inspection equipment within his 3 years at Faro uk and previous employment with laser trackers. Manchester Metrology LTD specialize in the inspection of engineered components to fine tolerances at a high standard, paying attention to detail and offering a helpful and positive attitude to all our customers, its these attributes that distinguish our company as a benchmark metrology company. With manufacturing centres in Italy, Germany, USA, Japan and China, Marposs UK is one of 79 sales and service centres located in 23 countries throughout the world, supplying gauging equipment for use within the production environment. The innovative nature of the products, based on a significant R&D technology investment, is the direct result of this scale of operation. Marposs products broadly divide into the following spheres of activity, employing contact, non-contact and non-destructive technologies as appropriate. Master Abrasives is a leading supplier of abrasives, tools, services and precision machines for grinding and finishing applications in various markets. Master offers complete solutions for industry through its own MASTER® branded products, services and its close working relationship with carefully selected partners. Master precision abrasive products include conventional and superabrasive grinding wheels and stones, dressing products, coolant nozzles and superfinishing products. The company has 9 production plants across the world, in addition to 77 technology centres across 21 countries. Measurement Solutions specialise in the sales, installation, training and support of a complete range of CMM, Laser Scanning and SPC products to Quality, Inspection, Design and Production Engineers throughout UK manufacturing industry. Our products include new and used CMM's, a complete range of CMM retrofit systems, 3D laser scanners for inspection and reverse engineering applications, specialised 3D inspection systems, plus the automotive industry standard for SPC. We also offer a range of contract services to complement our 3D measuring systems. Meddings Machine Tools a division of Meddings Thermalec Ltd, have over 75 years experience of designing and manufacturing drilling machines of all models and sizes. As a specialist provider, Meddings has achieved its excellent reputation for high quality and reliable drilling and tapping machines, through the high level of customer support provided, adapting to customer requirements, constantly innovating, providing solutions, and meeting each new challenge of the modern drilling market. MSP supply 5-axis part manufacturing solutions to some of the world's most respected names in Engineering. Our customers range from multinational Tier 1 corporations to independent manufacturers. A leader in 5-axis metrology, our exclusive products and expertise allow you to cut costs and time by maximising machine tool productivity, reducing part setup and eliminating scrap. We are part of the global metrology to medical solutions group, Renishaw PLC., and have their support and international resources to further extend our services worldwide. Manufacturers of the Microloc flexible workholding system for CNC milling and drilling machines in 3,4 or 5 axes. Microloc is a versatile vice system capable of holding multiple parts in accurate, coordinated positions relative to a known datum. Manufacturers of flexible vice systems. Mills CNC Limited are the market leading exclusive distributors of Doosan CNC Machine Tools in the UK and Ireland. Established 80 years ago, Mollart Engineering is a precision mechanical engineering company with a world-leading reputation for the development of dedicated deep-hole drilling machines and tooling systems. Our extensive in-depth application experience means that we can offer full-scale sub-contract engineering of complete machined parts and electro-mechanical turnkey assembly for the aerospace, automotive, defence, oil and gas, mould and die, nuclear and telecommunications industries. MT SQUARED represents a number of world-class machine tool brands (our Principals). Each of our Principals works with MT SQUARED and customers in partnership, providing the highest levels of quality, technology and service. All of our Principals are specialists in their field, manufacturing world-class, innovative products with cutting edge technologies. We are passionate about our business, our partners and in helping our customers succeed in their very competitive markets. The National Physical Laboratory (NPL) is the UK’s national measurement institute and is a world-leading centre of excellence in developing and applying the most accurate measurement standards, science and technology. Neida are a contract manufacturer of precision turned and milled components, offering the highest possible product quality and supply chain management. Nikken Kosakusho manufactures CNC Rotary Table & NC Tooling products. Our products are known for their quality, reliability and life-long performance, ensuring customers can compete and win in tough, demanding market sectors. First Established in 1958, Nikken has continually expanded and in 1999 the EuroCentre was created in Rotherham, South Yorkshire. This European sales & distribution hub is home to a team of application and service engineers as well as key administration and management for Nikken Kosakusho Europe Ltd.
Nikon Metrology offers a complete range of metrology solutions including Coordinate Measuring Machines(CMMs), Optical CMMs, 3D laser scanners, handheld laser line probes, X-ray and Computed Tomography (CT), Optical CNC measuring systems, measuring microscopes, Laser Radar, iGPS /iSpace systems, and metrology software for 3D scanning, 3D digitizing, 3D inspection and reverse engineering. Our systems are employed in aerospace, automotive and other manufacturing industries. NMS 3D UK are a leading Metrology company utilising the latest Leica hardware and leading software's. We support major OEM's and manufacturing companies within the aerospace, automotive, oil/gas, rail, and nuclear industry sectors and their supply chains. Our services we have on offer are tool and component inspection, re-verse engineering, product assembly verification, jigs/fixtures calibration, re-certification, jig re-location, process improvement, measurement consultancy, R&R studies and Automated measurement. OGP advanced multi-sensor measurement equipment meet all of your metrology requirements in one solution. A single OGP SmartScope system uses multiple sensors and probes to complete the work of several machines, offering an improved speed of complex component inspection in one swift routine. Our non-contact measurement systems measure every feature faster than conventional methods, eliminating human error and providing accurate repeatable data collection whilst improving flexibility in your measurement processes. Olympus Technologies are passionate about ensuring our customers are successful with their robotic and automation ambitions, and that your welding and cutting is of the highest quality. We believe in providing high quality technical solutions designed for your needs and continuing to support those solutions through long term after sales support and service. With a long established history, Ondrives are a leading manufacturer of precision gears, gearboxes and mechanical drive components. Through continued investment in state of the art manufacturing equipment and technology we remain at the forefront of precision manufacturing and continue to deliver on quality, reliability and service. CAM strategies with technological perfection From turning through to 5axis simultaneous milling. 2D, 3D, 5axis milling and turning strategies, as well as specialty applications: Everything is available in one user-friendly interface. The fully integrated product concept with a CAD system, direct and standard interfaces, and postprocessors enables integrated processes from design to manufacture. With its innovative ideas, years of CAM experience and milling expertise, OPEN MIND develops both technologically sound CAM strategies and forward-looking solutions. PDJ Vibro Ltd Stocks 120+ vibratory, barrel and centrifugal high energy finishing machines. All types of media components and spares are available. Subcontract work is processed with a 24 hour turnaround. Redundant equipment is always welcome. Technical advice is free. Vibratory bowl finishers, vibratory tub/trough finishers, centrifuged finishers, vibratory dryers, centrifugal (spin) dryers. Industrial & Commercial Auctioneers and Valuers. Depending on availability, we will supply you with an exchange spindle or repair your existing spindle. At the same time, we optimize the life expectancy of your spindle by using extreme load bearings and spring-loaded systems. Accessing finance to secure business growth doesn't have to be difficult. We make it simpler, helping you acquire key equipment and machinery assets that support your company’s operations. Portman Asset Finance provides a range of Asset Finance, Equipment Finance, Equipment Leasing and Franchise Finance from 3% flat within 3 hours. As specialists in asset finance, our processes are far quicker than banks or other institutions which offer a whole range of financial products. We can deliver a finance approval in hours rather than weeks. Prosaw supplies sawing machines for all material types, offering the choice of the world's finest saws, with the security of Prosaw's dedicated service and support. Prosaw has particular experience in total sawing solutions involving material handling systems and automated production lines. The range extends from traditional manual models to advanced CNC saws using modern carbide blade technology. Pryor Marking Technology, the trading name for Edward Pryor and Son Ltd., is a world leader in the manufacture and design of innovative marking, identification and traceability solutions. Not only is Pryor a world leader in cutting-edge technology, but Pryor’s innovative solutions are also integral to a wide range of markets. Founded in Sheffield in 1849, the company’s success is built upon providing innovative solutions for all manufacturing industries, with extensive expertise in aerospace and automotive standards. Radan are global leaders in the field of CAD/CAM for the sheet metal industry and understand that in business metal is precious. Radan's affordable software helps to significantly reduce inventory and increase material utilisation, offering a genuine return on investment which totally covers the sheet metal fabrication requirements cost effectively. Running machining centres at night and weekends should be a standard requirement for modern machine shops. Unattended production with small batch, high mix parts is a standard provision with Erowa zero point tooling and automation. Distributors for FTool EDM tooling and Triag modular vice system. A world leader in engineering technologies, Renishaw’s core skills in measurement and precision machining serve sectors as diverse as dimensional metrology, Raman spectroscopy, machine calibration, motion control, additive manufacturing, dentistry and neurosurgery. CS TECHNICS LTD are specialists in the supply of industrial air filtration equipment. We offer a wide range of extraction equipment to meet your environmental requirements. All equipment is guaranteed to meet HSE Regulations. RJH has been involved in the manufacture of grinding, polishing, and finishing machines for over 60 years. Our machines have a reputation for performance, quality and safety. The RJH product range is extensive – offering everything from bench-top polishers and platen belt machines through to heavy-duty belt grinders and through feed machines suitable for continuous production. Roemheld (UK) delivers workholding solutions that increase throughput while reducing handling times, material wastage and cycle times. The company’s diverse product range covers all aspects of workholding and includes high and low pressure hydraulic clamps, work supports and accessories; zero point technology; vice systems including 5-axis clamping; magnetic clamping for use in quick die change and quick mould change; assembly equipment and handling technology. The name ROHM stands for precision, quality, reliability, honesty and dependability. When it comes to powerful work holding clamping technology, there’s only one manufacturer that can truly offer everything – ROHM. We are continually improving our products and services in line with industry demands, actively expanding into new markets and using innovative cutting edge production processes and technologies. With more than 50 registered office’s and agencies spanning across the globe. RUF is a multi- national, global key player having supplied over 4,000 briquetting systems in over 100 countries. With a Head Office in Germany, subsidiaries or partners in every continent and over 40 years’ experience, RUF are the market innovators within briquetting. Using our knowledge, technological resource and experience we have designed cost saving solutions for virtually every waste material. Sandvik Coromant is at the forefront of manufacturing tools, machining solutions and knowledge that drive industry standards and innovations demanded by the metalworking industry now and into the next industrial era. Educational support, extensive R&D investment and strong customer partnerships ensure the development of machining technologies that change, lead and drive the future of manufacturing. Sandvik Coromant owns over 3,100 patents worldwide, employs over 8,000 staff, and is represented in 130 countries. Saw blades and metal working machinery distributor. Manufacturers and suppliers of manual handling lifting aids. Seiki Systems Ltd is a leading UK supplier of manufacturing execution software solutions, integrating the entire manufacturing enterprise to provide an immediate, visual and dynamic picture of the ‘plan to make’ production process. The company develops solutions which control, monitor and optimise the use of manufacturing machinery, particularly CNC machine tools. Siemens Automation and Drives is a global leader in Machine Tool Automation, and provides comprehensive solutions from a portfolio of totally Integrated Automation (TIA) products. Services range from design consultancy and mechatronic support, through to application engineering of both hardware and software, system build, intelligent logistics and world-class after sales support. The range includes: SINUMERIK - the CNC solution for the simplest to the most sophisticated machines. Sigmatek Systems LLC was founded by a group of manufacturing and engineering CAD/CAM experts in Ohio USA. The first SigmaNEST software package was installed in 1992, today there are over 6000 SigmaNEST customers worldwide. We are a Bristol based service engineering company that specialise in all machine tools, both CNC and manual. We carry out servicing, repairs and even reconditioning. Please visit us online for more info and to visit our online shop. Spaciotempo is a leading provider of temporary buildings to the industrial market, for short term, medium term and semi-permanent use. Our structures are widely used within the manufacturing, production, supply chain and transportation sectors to provide warehousing and storage, temporary manufacturing and production facilities, as well as loading canopies, and logistics depots. Available for hire and purchase, buildings are installed rapidly and can be used for anything from a 3-month hire, to a permanent solution. Sponmech are experts at solving industrial safety and noise problems. We design and manufacture machine guards and perimeter safety fencing systems for automation and logistic projects. We are original equipment manufacturers for many machine tool and robotic companies. We have a history of producing bespoke acoustic enclosures. We produce CNC fabricated and sheetmetal work. Star Micronics GB are the UK’s market leader in sliding headstock lathe technology. From our head office and state-of-the-art technology centre in the heart of England, we provide high-performance Swiss type lathes, CNC machines and associated equipment throughout the country. Star CNC lathes are well-known for their high levels of accuracy, repeatability, and reliability. Most models offer lights-out operation as standard, while continuing to achieve outstanding results. Every day, our customers find simpler, smarter approaches to stubborn design problems – and greater confidence to confront towering human and technological challenges. Less hindered by the usual constraints, they can imagine, design, iterate and replicate more freely than ever before. By providing the shortest possible path from idea to solid object, Stratasys empowers them to untangle complexity, tackle tough problems, uncover new solutions – and to do it all with the urgency our accelerating world demands. Cutting the costs of machining - Sumitomo Electric Hardmetal is a world class manufacturer of high performance indexable insert and solid cutting tools for turning, milling, drilling, and boring applications. Created from their unique brands of Tungsten carbide, Cermet, CBN (Sumiboron) and PCD (Sumidia), in combination with the latest developments in coating and chipbreaker technology the concept is - "high feed rates and long tool life - for whatever you cut". For more than 80 years Sunnen has concentrated on the technology of bore sizing. It is the world's largest fully integrated company in this specialised field. Sunnen offers a wide variety of engine rebuilding and bore sizing machines, from basic honing operations to highly specialised applications, as well as automatic industrial systems which are capable of production rates of up to several finished bores per hour. Surtech offers the largest UK selection of abrasive, grinding, deburring and polishing equipment and consumables. From portable abrasive power tools to CNC machines and robot cells. It covers all industries, fabrications, sheet metal, tubes, hollow sections, automotive, aerospace, medical, etc. The abrasive test centre is the largest in Europe and can be used for practical tests on customersâ€™ parts and for establishing finishing sequences. It can advise on all aspects of mechanical metal finishing and offers a free after sales service. Carbide and ceramic cutting tools; carbide and heavy alloy powders; carbide and ceramic wear parts. TAG PIPE EQUIPMENT SPECIALISTS is a world leading manufacturer and supplier of pipework fabrication machinery, tools and handling equipment for workshop or on-site work. Our range of portable precision pipe preparation/bevelling machines and portable pipe cutting equipment are used across the world in many industries including chemical, oil, gas and power generation. TDT Machine Tools Ltd are UK & Ireland Sales and Service Centres For Kafo Machine Tools, LCM Rotary Tables, Algra Driven Tooling, Brankamp Tool Monitoring Systems, Tecnomagnete Magnetic Workholding Systems and Repar2 Machine Guarding Systems. Tebis provides digital manufacturing technology, CAD/CAM/MES software and associated services for mechanical component, model, pattern, tool die and mould manufacture, serving aerospace, automotive, motorsport, oil & gas industries etc. Tebis CAD/CAM/MES software offers world leading advanced technologies for manufacturing process standardisation, automation and shop floor equipment and resources monitoring, production planning and control. Telesis, based in the US, is the global leader in industrial marking machines and traceability. Telesis UK is a wholly owned subsidiary company, distributing the Telesis marking equipment and providing full after sales service, spares and support. Telesis engineers are on the road covering the whole of UK and Ireland. ETG brings together the strengths of the world’s most advanced manufacturers of high technology machine tools, automation and workholding systems to deliver highly productive metal cutting solutions. Established around a long standing relationship with Chiron werke, Nakamura Tome, Bavius, Stama, Bridgeport Hardinge, Quaser and Halter, ETG is a single source machine tool and systems supplier. By providing in depth support and applying insight, experience and expertise, ETG aims to get the maximum benefit from advanced manufacturing technologies. The MTC was established in 2010 as an independent research & technology organisation with the objective of bridging the gap between academia & industry. The MTCs' vision is to inspire great British Manufacturing on the global stage. Machine sales, servicing and repairs. Sales, service and spare parts for the Tornos Evo Deco range of Swiss type sliding head and multispindle machines. High precision lathes with up to 21 axis. Turning capacity 1 to 32mm. and Almac Vertical machining centres and bar milling machines. CNC sliding head and CNC multispindle lathes up to 32mm. Treston is among the world’s leading suppliers of industrial furniture and workstations. Our workstation design and implementation process always begins with the person performing the work. In this way, we pay close attention to ergonomics, functionality and efficiency. We listen to your needs and reliably deliver high-quality and durable solutions, which last from one generation to the next, thanks to our optimal design. Our own sales network are dedicated to our products provide worldwide assistance and service in support of Treston products. Tricorn Systems Ltd. is based in Farnham, Surrey and develops Job Processing (Production Control), Quality Management, Workshop Scheduling (Planning Board) and Shop Floor Data Capture systems. The Tricorn Production Control system (TRICORN:Production) is in use at over 235 UK manufacturing companies with 000's of users. Tricorn Systems is renowned for the quality and responsiveness of its support and training. TYROLIT are one of the world's leading manufacturers of grinding,cutiing, drilling and dressing tools as well as associated machinery and equipment. TYROLIT emploees 4500 employees and has a turnover of €550m. The company has 27 production sites in 12 countries and has it's own distribution network in more than 60 countries. TYROLIT produces more than 80,000 variant products for manufacturing engineering, construction and distribution. Established in 1973, Unison Ltd is the UK’s leading manufacturer of tube and pipe bending machines, with the largest range of all-electric tube benders from 5/8” (16mm) to 10” (273mm) in diameter. UMS Ltd manufacture, supply and support a wide range of high quality, robust marking equipment for ID/ traceability of parts including hand-held, benchtop and integrated systems. Our product range includes high precision Dot Marking (Dot Peen), Electrochemical Marking (Aerospace approved), Laser Marking, and a range of hand stamps and manual Indent Marking. UMS manufacture in the UK and supply worldwide. VARGUS - At the forefront of the tooling industry for more than 50 years. Vargus is a world-leading manufacturer of high-quality cutting, grooving and deburring tools for the metals and plastics industries. Established in 1960 in Nahariya, Israel, VARGUS is the tooling division of the NEUMO Ehrenberg Group, one of Europe's largest privately owned manufacturers and distributors of stainless steel products and metal cutting tools. Verus will partner with our clients to deliver, install and support complete turnkey and validated bespoke metrology fixture solutions, anywhere in the world. Our passion is metrology and our focus is on supporting our global clients with a team of experienced design engineers, metrology engineers and toolmakers that partner with you to create robust metrology solutions you can trust. Today Verus operates from two advanced metrology labs in the UK and Ireland. The Victor Vcenter range of vertical and horizontal machining centres. The Victor Vturn range of horizontal, vertical and inverted CNC lathes. The Victor range of Plastic Injection Moulding Machines. Vision Engineering Ltd is a leading-edge manufacturer of ergonomic stereo microscopes and non-contact measuring systems. Since its formation in 1958, Vision Engineering has become one of the world's most innovative and dynamic microscope manufacturers, with offices across Europe, Asia and North America. Engineers and scientists worldwide use our systems for a wide range of general magnification, inspection and measurement application in both industrial and life science markets. More than 500,000 units have been installed worldwide to date. Vollmer manufacture advanced machines for the sharpening of HSS, TCT saws, bandsaw, shear knives and PCD tools. This includes fully-automatic, robot-loaded machines for machining all types of saw blades. Erosion machines for the manufacture and sharpening of PCD tools. Waldmann Lighting is a manufacturer and supplier of Industrial Workplace Lighting including luminaires for: Machines, Inspection, Assembly, Production, Workbenches, Warehouse and Production Areas (general lighting), and many other applications. Complimented by a range of Office Lighting, the focus of the Waldmann solution is to provide energy-efficient lighting for all environments. Utilising the latest LED technology combined with high build quality, Waldmann luminaires provide cost effective lighting for all Industrial and Office areas. Walter is one of the world's leading companies within the metalworking sector. The machining specialist offers a wide range of precision tools for milling, turning, drilling and threading. Walter works with its customers to develop tailored solutions for complete machining of components in the aviation and aerospace, and automotive and energy industries, as well as for general mechanical engineering. The company's Engineering Kompetenz spans the entire machining process. Wenzel UK, subsidiary of Wenzel Prazision of Germany, can supply a range of Bridge style, gantry and horizontal arm Co-ordinate Measuring machines and a range of Gear Testing Machines from its subsidiary Wenzel GearTec. Wenzel UK can also provide controller and software retrofits to almost any other CMM brand. Other services offered by Wenzel UK are: CMM service, training, subcontract inspection and programming, Renishaw probing, CMM fixturing, turn-key project management, and measurement consultancy. Werma Signaltechnik have been manufacturing high quality electronic signalling devices for more than 50 years continually contributing to safety and economy in the modern working and industrial society. Wickman is a global supplier and manufacturer of multispindle lathes, designed to produce medium and large volumes of extremely precise, high quality components. Wickman’s services and sales network extends to all parts of the world, with offices based in the UK, Brazil, USA, China & India. Wickman’s key industries: automotive, aerospace, defence, agriculture, hydraulic, white goods, electronics, oil and gas. Wickman manufactures multispindle lathes with CNC, servo or PLC control, capable of turning components from 5mm up to 82mm diameter. WLR Precision has been established for over 40 years and has an enviable reputation for high precision components. This has been developed across several key markets such as aerospace, petro-chemical and instrumentation. Recent developments have been the move to a new, larger factory and the installation of a state-of-the-art Kern Pyramid Nano, together with a range of other investments including machines from HAAS, Matsuura and Star, and an Objet Eden250 3D Printing System. WNT celebrated its 25th anniversary in 2012, 25 years that have seen the company develop its unique approach to the sale and support of technical cutting tools to the metalcutting sector. With subsidiaries across Europe the WNT Group is now a major supplier to manufacturing industry and with further expansion in the pipeline, continues to grow and develop. WNT (UK) was formed in 1999 and quickly established itself as a company that can provide high quality, competitively priced, cutting tools. The ‘Award Winning’ Wogaard Coolant/Oil Saver collects cutting fluid from the chip container and returns it to the machine tool’s main reservoir for reuse. If you have machine tools equipped with automatic chip-conveyors, chances are that you could be saving a lot of money by installing the Wogaard Coolant Saver on these machines. With so few elements and no moving parts the Wogaard Coolant Saver is easy to install and is virtually maintenance free. Gear Technology and Manufacturing Specialists Wright Manufacturing Services Limited (WMS), established in 1983, offers a comprehensive range of products, machines and equipment covering all aspects of transmission,engine and aerospace component manufacturing. The prestige range of machinery and equipment in our portfolio enables us to offer manufacturing and quality solutions in many applications including crankshafts, camshafts, injector systems, pumps and many aerospace components. Yaplex are UK Manufacturers and Suppliers of Manual Handling Lifting Aids for industry. With 3D design capability we can offer lifting and handling solutions for machine tool loading plus many other applications. Manual or Semi Automated Lifting Handling and Industrial Manipulator systems can be supplied. Yaplex also manufactures its own range of jib cranes and overhead gantry systems up to 20 tonnes designed and made to order. These include overbraced, underbraced and articulated arm jibs up to 2 tonne. Zhuzhou Cemented Carbide Cutting Tools Co., Ltd. (ZCC-CT) located at Zhuzhou, Hunan in the People's Republic of China belongs to the ZCC-Group. Since its foundation in 1953, the enterprise has become one of the world's leading carbide-manufacturers, with more than 2,000 employees working in carbide product production using to the latest technologies and highly qualified staff. Using the latest production technologies, ZCC-CT produces high quality and high performance cutting tools. ZOLLER measurement solutions provide you with complimentary technologies which are guaranteed to improve tooling precision that in turn will better your performance resulting in perfected products- not to mention incredible savings in time and money.